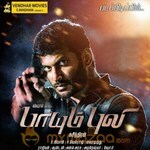 Suseenthiran, who originally hails from a small village in Pazhani, was always "crazy about films" like his father and his uncle, who had made a film years ago, that never got released. Though his family did not want him to become a director and "waste" his life on films, he was sure that he would be a filmmaker one day. To achieve his dream, he came to Chennai, when he was 18 years old and needed 12 years to make his first film. Susindran had worked as assistant director to prominent filmmakers as S. D. Sabha and Ezhil, before turning an independent director. His maiden venture, titled Vennila Kabadi Kuzhu, was released in 2009, receiving rave accolades. According to Susindran, the film is based on real life incidents as his father was a kabadi player and Susindran got to know about the insults and pains the player went through, which he wanted to showcase in a film.Also he was said to be inspired from success of the 2002 Bollywood film Lagaan, which was based on cricket. He started his next project Naan Mahaan Alla by August 2009. This film, starring Karthi and Kajal Aggarwal in the lead roles, opened to highly positive reviews and emerged a commercial success as well. During this film's final stages of post-production, he started working on his third film, titled Azhagarsamiyin Kudhirai. 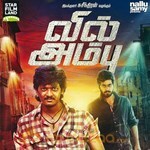 Suseenthiran revealed that Azhagarsamiyin Kuthirai was planned to be his second directorial, but since no producer was willing to fund the film with an offbeat theme, he chose to make a film featuring a known lead actor first. 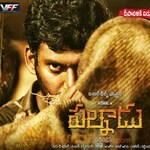 Azhagarsamiyin Kuthirai, based on Bhaskar Sakthi's novel, likewise fetched critical acclaim. It was screened at 2011 Toronto International Film Festival in Contemporary World Cinema category. 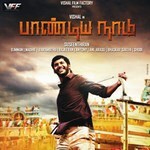 Suseenthiran finished his fourth venture, titled Rajapattai, starring Vikram and Deeksha Seth in the lead.